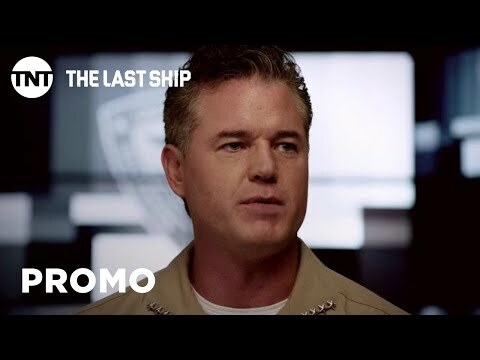 TNT's epic drama The Last Ship will complete its final mission when the show returns for its fifth and final season on Sunday, Sept. 9, at 9 p.m. (ET/PT). This season, the world is finally recovering from the deadly virus that devastated the population, but global political unrest remains. Tom Chandler (Dane) has retired and his former crew has scattered, many having risen in the ranks within the Navy. Sasha Cooper (Regan), Lieutenant Danny Green (Travis Van Winkle), SBS WO-N Wolf Taylor (Bren Foster) and Sergeant Azima Kandie (Jodie Turner Smith) are on a covert mission in Panama. When they are wrongly blamed for an attack on the Panamanian president, the consequences for the United States are dire. The Nathan James must fight to prevent invasion by Latin America - and the next world war. Season five is The Last Ship at its most epic, upping the ante on action and excitement, but at its core, it underscores the costs of prolonged war and the toll it takes on the heroes who fight it. The Last Ship Season 5 was released on Blu-ray 39d ago in the US.